Police in Spokane, Washington, reported last week that they had arrested the ringleader of a meat-stealing operation that has plagued stores in the area for some time. Christopher Webber was booked last Thursday on charges of "leading organized crime." Specifically, police allege Webber organized as many as five others into a crew of professional meat thieves who would shoplift meat from stores like Albertsons and then resell the tasty plunder in area bars for about half the retail price. Apparently, those inside the bars found nothing at all unusual about somebody regularly stopping by to offer them some half-price meat. One bartender insisted he thought the salesman he dealt with was legit. 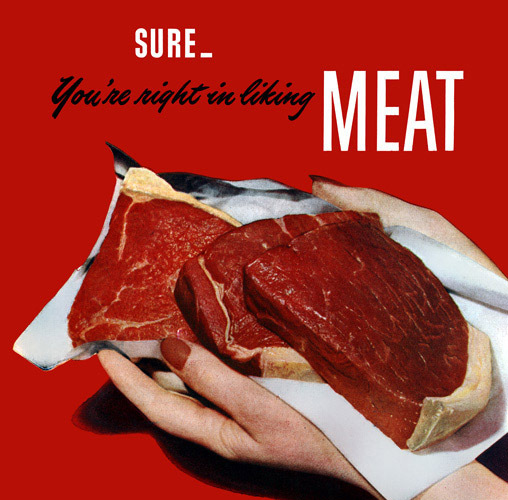 "He had a little uniform on," he said, "and sounded like he really knew his meat." (If someone in Spokane saw this on television, could you let me know if he said this with a straight face? Because I don't think that's possible.) 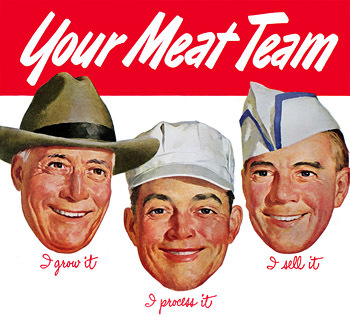 The convincing uniforms and meat knowledge were good enough for the Spokane business community, which appears to have suspected nothing at any time during the three years the scheme was in operation. A police spokeswoman said that Webber's operatives would fill up a shopping cart with meat, and then find a concealed spot to stuff the meat down their pants or conceal it "somewhere else on their person." (As with the "little uniforms," I think I don't really want to know the details.) Police estimate that the gang may have moved as much as $400,000 worth of stolen goods during their three-year meat spree.